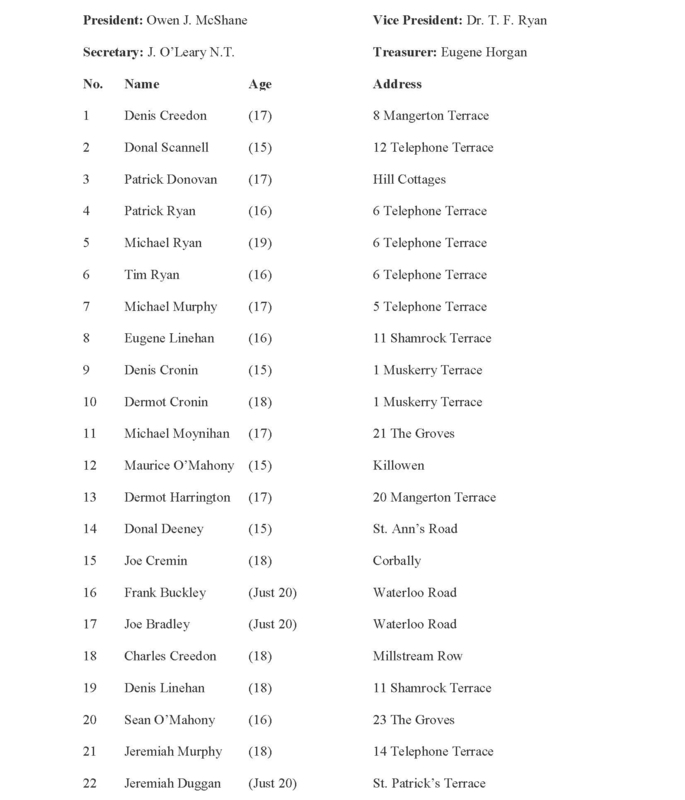 Listing of the first Applicants for Membership of the newly forming ‘Our Lady of the Immaculate Conception’ Blarney Boys Club’, under the direction of the Blarney Praesidium of The Legion of Mary. The inaugural meeting of which was held in the St. Helen’s Convent Hall on Thursday 28th May 1942. The following officers were elected subject to the confirmation by Legion of Mary Curia.